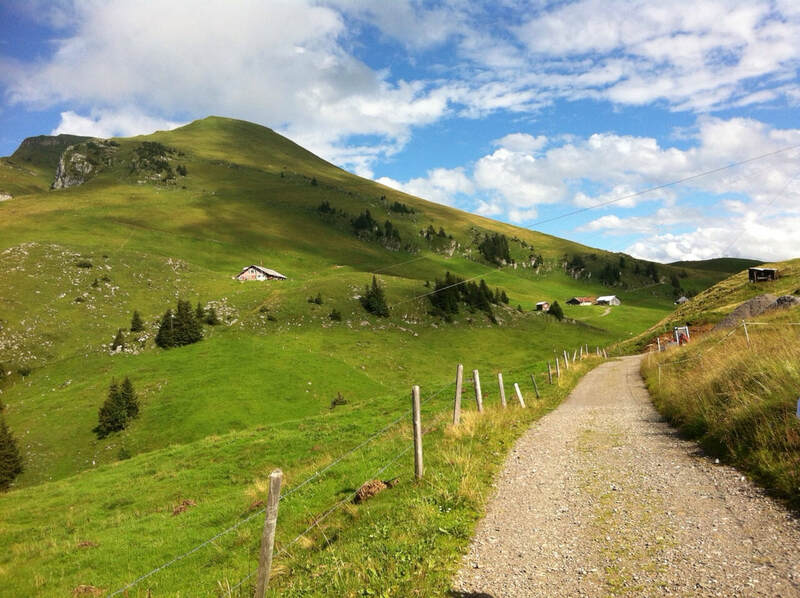 The Highlands Duo formed in 2009 in Freiburg, Germany, where violinist Benjamin Shute and harpsichordist Anastasia Abu Bakar were studying at the Hochschule für Musik. During their time in Freiburg and subsequently in Frankfurt, they were mentored by leading members of the Freiberger Barockorchester, Akademie für Alte Musik Berlin, Musica Antiqua Köln, Berliner Barock Solisten, and La Stagione Frankfurt. The duo has performed at European venues including Schlosskonzerte Bad Krozingen and Schlossfestspiele Marburg and performed at American institutions including the Wheaton College Conservatory of Music, Dickinson College, Southeast Oklahoma State University, Oklahoma Baptist University, and Ouachita Baptist University. One of the fascinating things about musical performance is that the sound you hear is a result of a mysterious collaboration between the voice of the performers and those of the instruments they play on. Ben divides his time between an anonymous 18th-century Stainer-influenced instrument (which he affectionately calls his 'Greyerzer') and a quirky 1775 Joseph Ruddiman of Aberdeen, which has as many overtones of peat and bagpipes as any fiddle we've ever seen. He performs on an English-model baroque bow by Harry Grabenstein and an anonymous French classical bow. Anastasia's instrument is a 1981 Flemish double by David Sutherland, a cosmopolitan instrument equally at home with Italian or French music (though don't tell that to either!) and just about everything in between. 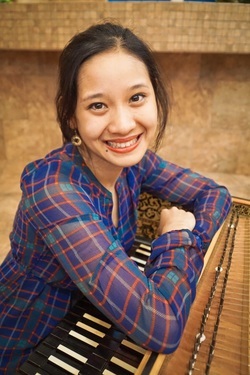 Anastasia Abu Bakar is harpsichord instructor and director of the early music ensemble at Oklahoma City University. She studied at the conservatories of Freiburg (BM), Florence, and Frankfurt (MM), where her teachers included Robert Hill, Alfonso Fedi, and Eva Maria Pollerus, also working closely with Jesper Christensen. Solo activities include performances with the Malaysian Philharmonic Orchestra, Janus Ensemble Freiburg, Oklahoma Virtuosi, and various period-instrument ensembles; recitals at venues including the Museo San Marco (Florence), "Notte Bianca" Festival Florence, and Schlosskonzerte Bad Krozingen; and participation as soloist in a CD project produced by the Hessian Ministry of Science and the Arts commemorating the fiftieth anniversary of Paul Hindemith's death. As a chamber musician, she has collaborated with Friedemann Immer, Michael Schneider, and a host of young artists of her generation, including Tabea Debus, Lorenzo Gabriele, and Steuart Pincombe. She has also served as a répétiteur for theater and oratorio productions including Scarlatti’s La Colpa, il Pentimento, la Grazia for the 2013 Rheingau Musik Festival. A specialist in the various national styles of basso continuo, she has published realizations for Blavet’s Op. 2 sonatas as well as J. S. Bach's D-major Sinfonia (BWV 1045) and youthful G-minor fugue for violin and continuo (BWV 1026) though PRB Productions. Violinist Benjamin Shute began performing on period instruments as a teenager after attending the Oberlin Baroque Performance Institute. During subsequent studies at the New England Conservatory (DMA, BM) and the conservatories of Freiburg and Frankfurt, he studied with Rainer Kussmaul, Bernhard Forck, Masuko Ushioda, and Lucy Chapman and served as co-founder/director of the New England Conservatory Early Music Society. He has performed internationally on modern and period instruments as chamber musician, soloist with orchestras in the States and Europe in concertos from the 17th to 20th centuries, and concertmaster of ensembles including the Boston Chamber Orchestra, Oklahoma Virtuosi, TACTUS ensemble, and numerous ad hoc modern- and period-instrument ensembles on both sides of the Atlantic. In addition to serving (on modern violin) as a first violin with the Oklahoma City Philharmonic, he has also performed with such period-instrument ensembles as Grand Harmonie, Ars Viva Freiburg, Brandywine Baroque, and the Raritan Players, with whom he appears in the recently-released CD "In Sara Levy's Salon" (Acis Productions). Publications include the book Sei Solo: Symbolum? The Theology of J. S. Bach's Solo Violin Works (Pickwick/Wipf & Stock, 2016) as well as critical reconstructions of J. S. Bach's lost D-minor violin concerto, BWV 1052R, and incompletely-surviving Sinfonia in D major, BWV 1045 (PRB Productions). His compositions have been performed by the Brandywine Baroque Orchestra and heard at venues including the London Festival of Contemporary Church Music (UK). Teaching activities have included faculty positions at Dickinson College, Cairn University, Cecil College, and Oklahoma Baptist University in addition to summer festivals in Italy, France, Japan, Vermont, Massachusetts, New York, Pennsylvania, and Kentucky.